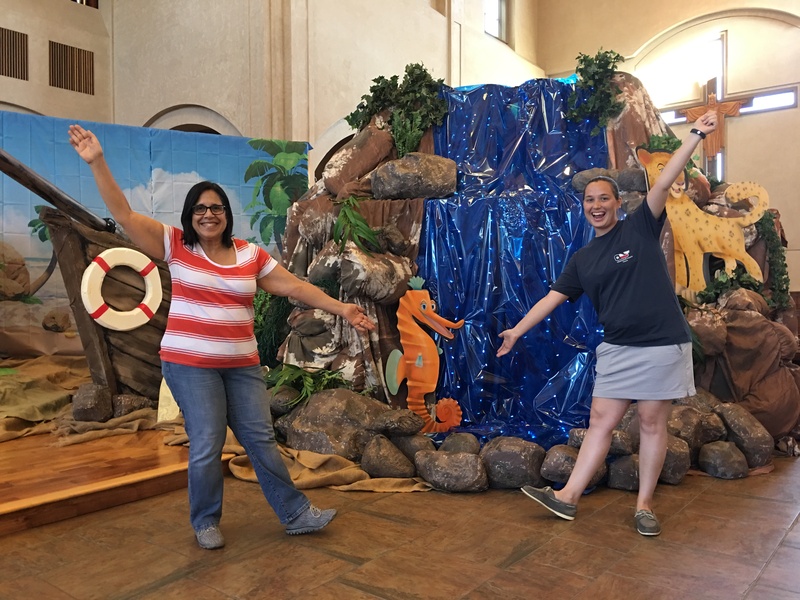 VBS WORK DAY SET UP UPDATE: IT’S DONE! SATURDAY’S WORK DAY IS CANCELLED! Great news! VBS set up is complete! So many of you turned out and worked so efficiently, that set up was completed today, Friday. Well done, all! That means the Saturday work day from 9 a.m. – 1 p.m. is cancelled! The full set will AMAZE you — there’s even a crow’s nest, not to mention the very neat waterfall below. Sheryll and her daughter Brooke are ecstatic with the set. This is one small piece; you’ll see it all on Sunday!